Silk satin is a very special type of material. It is valuable compared to many fabrics, and highly prized by interior decorators, dressmakers, tailors and others who want to create the most luxurious appearance when working with fabric. Silk satin both looks and feels rich, and has a number of qualities that make it so highly sought after. The sheen of satin makes it very visually identifiable. To understand silk satin, you must understand what silk is. Unlike many natural fibers in the world which come from plants, silk is created by an insect. Silkworms make cocoons out of a material that people spin into fibers. Silkworms are raised in commercial operations where the cocoons are separated and the individual silks spun into threads used to make the material that eventually becomes silk satin. Satin is a method of weaving fabric. 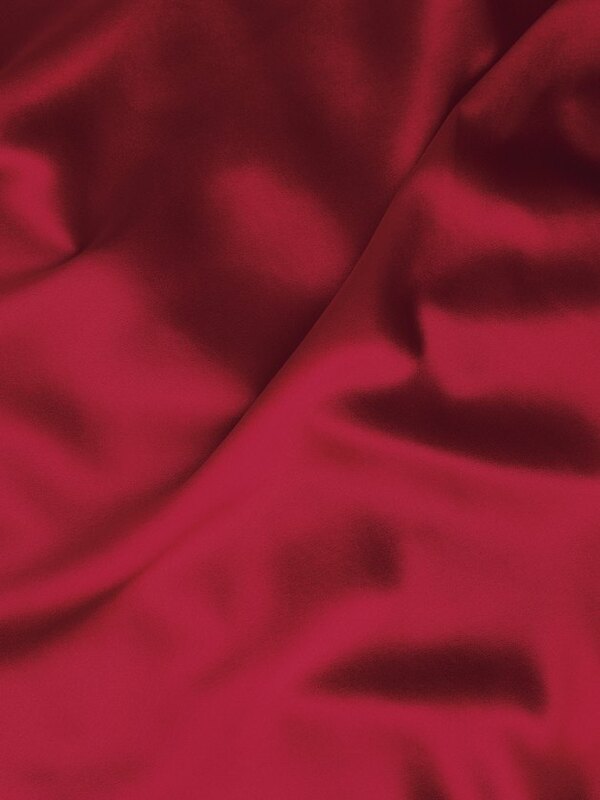 Satins today are made from a range of synthetic and natural fibers, with silk satin being the most valuable. Satin has a shine to the fabric that is created during the weaving process. The process is achieved by floating the warp threads above the other fibers to create the shiny and seemingly seamless smooth surface of the fabric. Silk satin certainly feels as good as it looks. It is preferred over satins made from synthetic fibers largely because of the feel of the material. Satin made entirely from silk doesn't attract static electricity, and it breathes as fabrics made from natural fibers do. Silks made from polyester cling and get quite hot. Silk fabric also allows fabric makers to create satins with a richer color than can be achieved with a synthetic fiber. Because satin was made of silk for centuries before synthetic fibers were developed, China had a monopoly on the production of satin for thousands of years. It was not until the 1300s that silk production started in Europe. This made satin much more readily available and affordable, at least for the upper class, and it soon became one of the favorite fabrics of the nobility and well-to-do. What Is Koshibo Polyester Fabric?